Every learner driver must pass through a general test before appearing for the practical test and getting a full UK driving license. The theory test consists of two parts, one is multiple choice questions and the second is the perceptive hazard test. There is different multiple choice type test for the driver of different type of vehicle but the same for hazard perception test. For example, a car driver and a motorcycle driver will get different tests. There are various practice tests for driving test online on which you can practice and prepare. The online test covers all the rules and regulation, and the revision material is valid. In multiple choice questions, there are questions about standard driving rules and situations with multiple choice questions; the right answer can be one or multiple options. After completing this part of the theory driving test, next is the hazard perception test. This test includes pictures and videos of hazardous situation and will require your answer that what will you do in any of the situations. For appearing for the tests, there are some steps you have to clear. 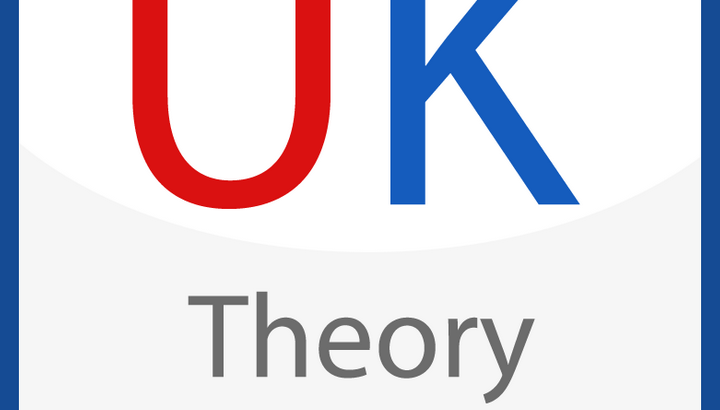 • You should be of 17 years old or over to apply for UK theory driving test. • To book for the car theory test you have to pay £23, you can also pay the fee online. You have to clear both the parts of the theory test and if you pass the certificate is valid for two years. If you do not clear, you will have to wait for three working days for booking another one. You can only book your test on the official government website. When you clear the theory test, you will get a certificate which is valid for two years. There are several sites which provide a practice test for the UK driving test. These mocking tests do not only warm you up for the real test but also gives you information regarding the test which you probably did not know before the mock test. The test simulator for hazard perception test is a great tool which not only helps you in passing the test but also prepares you for real-life situations if anything happens. The UK driving test has different steps to pass through. For the theory test to be cleared, you will have to pass in both multiple choice questions which are different for every type of driver and hazard perception test which is the same for every driver. After clearing the theory test, of which both parts you will have to clear you will go for the real-life driving test. In the past, people only have one option when going to school. It is to go inside a traditional classroom to learn by doing what the teacher says – writing, most of the time. Today, more and more people are turning to online learning. Online learning, also called distance education, means learning by attending a class online. There is still an instructor and classmates, of course; but no real face-to-face interaction. 1. Learn Anything – Anywhere, Anytime! With online learning, anyone can learn anything he or she wants to know – whenever, wherever. The flexibility when it comes to schedule and location is the most advantageous thing about this learning style. There is no need to travel for miles just to go to a college or university. This means anyone can still learn even during extreme weather conditions where the roads are not passable. The fact that learners can choose their own schedule is another great advantage, especially for working students. Students do not need to rush from their workplace to school just to avoid being late. Whatever it is under the sun you want to learn, simply use Google and it will give you search results related to what you typed. From there, you can choose courses offered by prominent universities. Again, because it is distance education, it doesn’t matter if you have chosen a course from a university located abroad. 2. Learn in a More Affordable Way – Earn a degree with the course of your dreams in a budget-friendly way, without leaving home. If you live in the outskirts of the city, a traditional education would require you to leave your comfort zone and venture to a completely new place along with complete strangers. To physically study at a university will surely require you to be competitive enough to survive. Not to mention how expensive it is to have a degree. With online learning, you or your parents do not have to pay a hefty amount of money per semester just to get enrolled. Online learning is versatile enough to let you search for courses that are within your budget. This type of learning also equates to comfort. You can join classes even in pyjamas straight from your bed. And when assignments or tasks get difficult, you can always buy essay at UniTutor or ask them for online help. There are still quite a few individuals who believe online learning is only for lazy people who are not competitive enough to survive the challenges of university life. If you happen to come across these people and their opinions have somewhat demotivated you, then try to read the book “Theory and Practice of Online Learning”. This amazing book will surely shed light on you into doing the correct thing – and that is pursuing distance education. The “Theory and Practice of Online Learning” is written by Teddy Anderson. He is a professor at the Athabasca University in Canada. The book has a total of four parts with sixteen comprehensive articles providing in-depth knowledge about distance education, specifically online learning. This book is carefully written, detailed, and informative that it even talks about the quality dilemma of online learning. This book has been edited and the second edition is now available. Original chapters were updated and four new chapters are added.